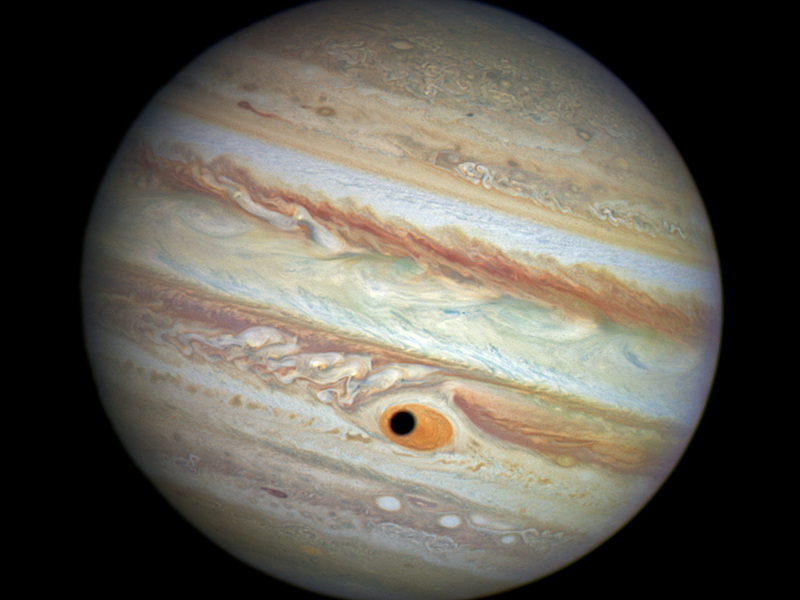 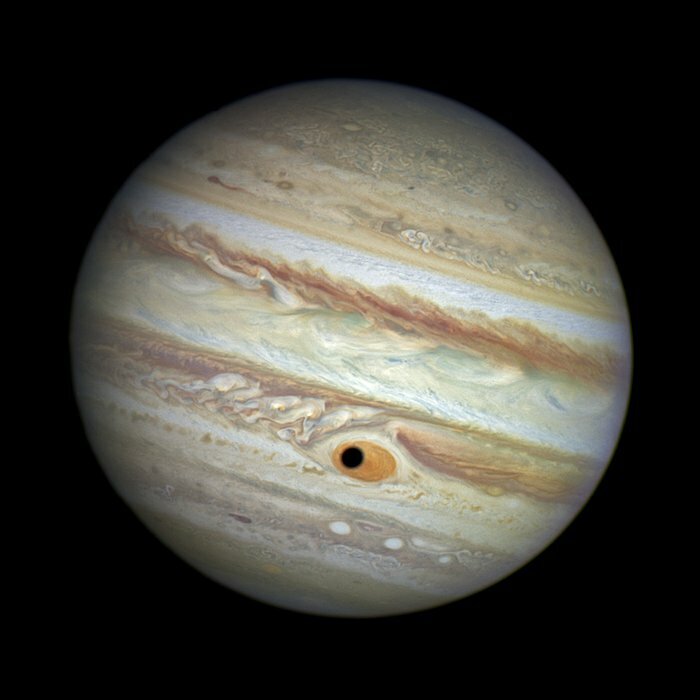 This NASA/ESA Hubble Space Telescope image shows a gorgeous close-up view of the planet Jupiter. 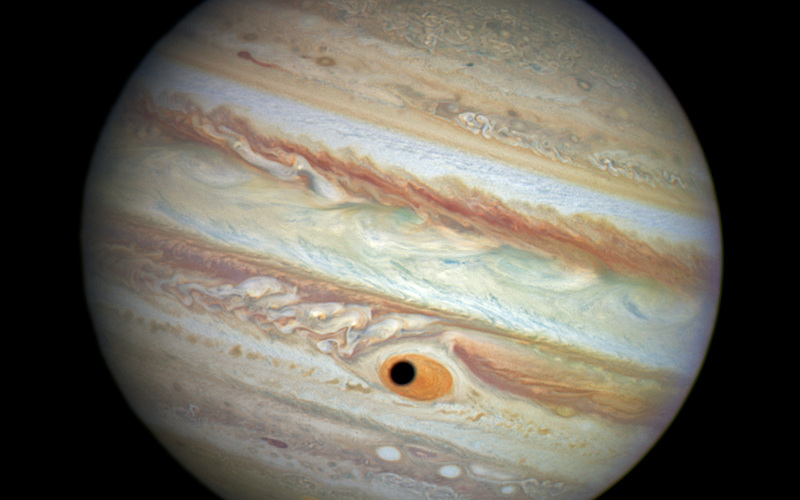 Astronomers were using Hubble to monitor changes in Jupiter's immense Great Red Spot (GRS) storm. During the exposures, on 21 April 2014, the shadow of the Jovian moon Ganymede swept across the center of the GRS. 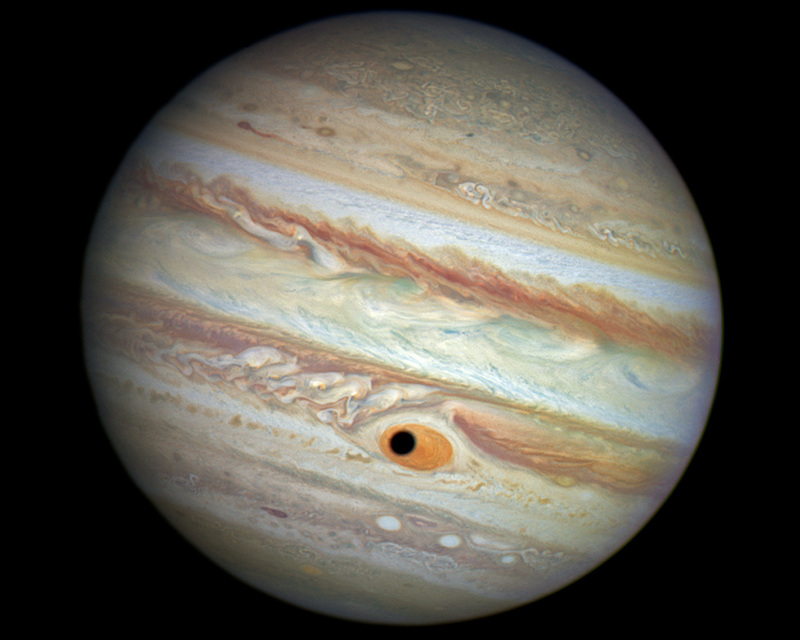 Giving the giant planet the uncanny appearance of having a pupil in the center of a 16 000 kilometre wide eye.